The camera studio mod for mine craft is a camera that allows you to record and fly around a camera at different speeds. The point of this mod is to allow users that like to upload to places like You Tube an easy way to record their game play. 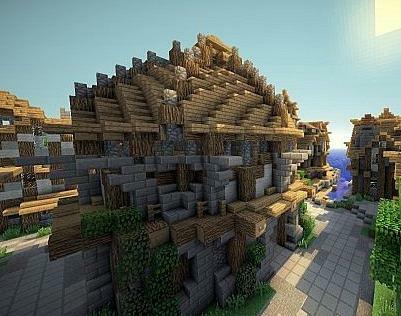 It is fun to share your world picture photos with other mine craft enthusiasts. The mod creates paths for players and will make them automatically follow. You can control what the player sees along a path and control the speed through a global timing for travel. All of this happens through a series of user entered commands. You will also gain accurate control over the night and day cycles. You can set how long you want each night and day cycle to last. These cycles are set independently of one another. Take note that changing the time cycle does not influence game mechanics. Mob-spawning, Crops and any grow functions are not impacted by the time cycle. The idea is to be able to take pictures of a particular screen shot and freeze it or capture it and allows a user to save it. Since you create the camera you can also manipulate it how you wish to use it and how you wish the camera to capture a particular area. The fun thing is that with the camera mod you have new recipes to craft a camera and you can also craft a battery and memory card for the camera. The camera with film actually holds less pictures then a camera with a card which makes it kind of realistic. The photo station stores your paper and ink for producing your photos. When you print it will actually show you how much paper you will be using for printing your photos. It also shows you how much dye and of what color you will use in each photo. As well as the things to run the camera you have to have a way to process the film and for that you have to have a photo processor. Remember mine craft is about building. So adding things like color stones to your film makes it produce colored pictures. Camera craft can be used in conjunction with the camera studio to make a variety of pictures on the mine craft world. Many mine craft enthusiast use this mod to create different pictures of their individual worlds and share them with other mine craft gamers. Some of them use this mod to make custom pictures to hang around their world.